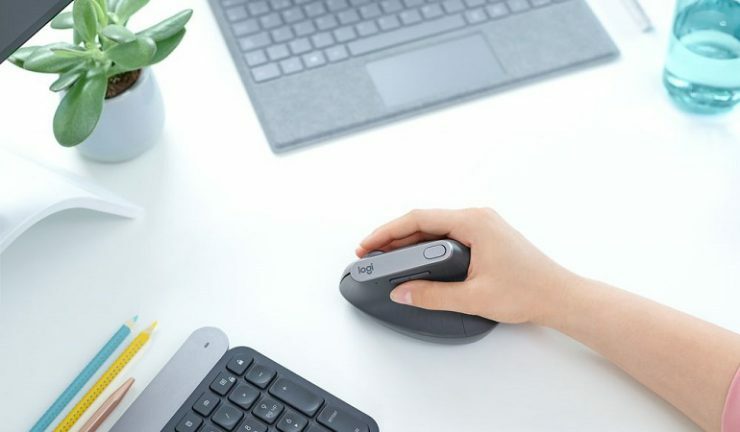 The new Logitech MX Vertical mouse has combined science-driven ergonomic design with the performance of Logitech’s high-end MX series, designed to reduce forearm strain and wrist pressure with a special 57-degree vertical angle. The comfort form is designed to fit a variety of hand shapes and sizes, while the textured rubber surface and thumb rest ensure a solid yet natural grip. MX Vertical provides best-in-class 4,000 DPI high-precision sensor for up to four times less hand movement and reducing fatigue. The cursor speed switch allows users to adjust DPI speed and accuracy of the cursor at the touch of a button. Its rechargeable battery lasts up to four months on a full charge and a one-minute charge provides three hours of use. Thanks to Logitech Easy-Switch and Logitech Flow, users can switch between two computers and even copy and paste content, images and documents between them. MX Vertical is now available for RRP $169.95 via Logitech online as well as select retail stores including JB Hi-Fi, Harvey Norman and Officeworks.